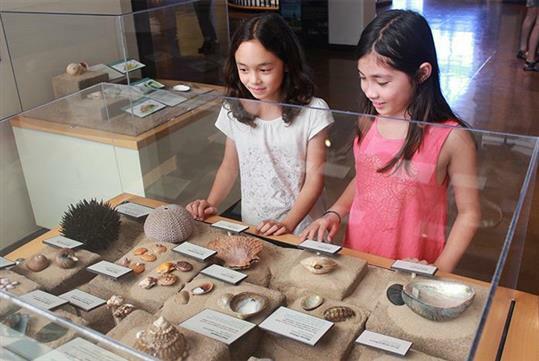 Situated in Balboa Park in San Diego, California, this museum offers a unique learning experience for guests of all ages. Exhibitions have included Whales: Giants of the Deep, Water: A California Story, and many others. 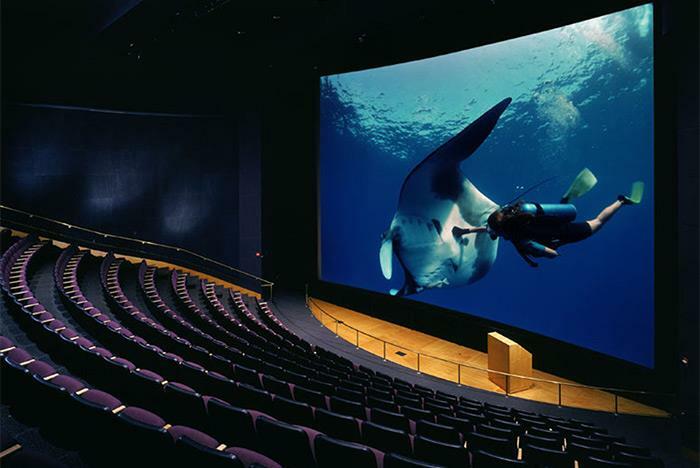 The giant screen theater offers large-scale videos and 3-D experiences in a 300-seat venue. 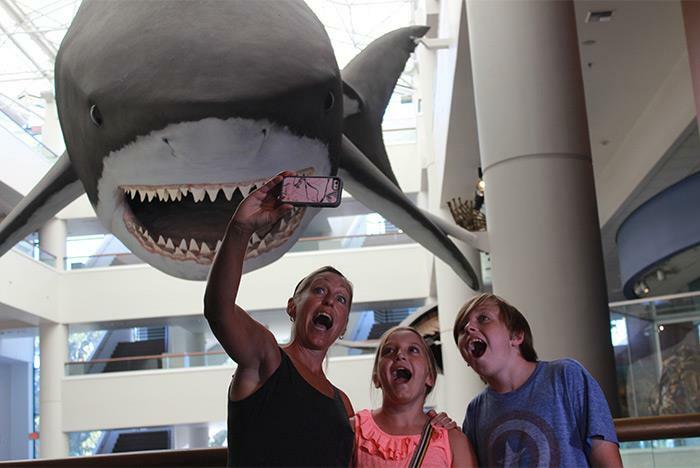 The museum also features events like whale watching, nature hikes and more. 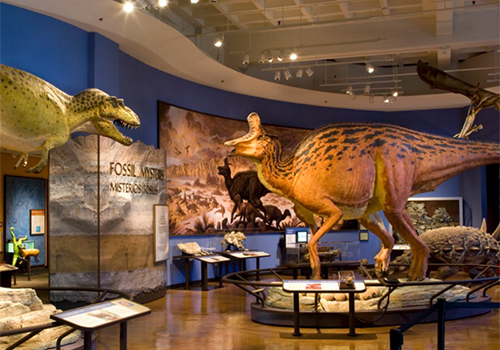 The San Diego Natural History Museum is a flagship institution in Balboa Park, showcasing the regional natural history and unique biodiversity of Southern California and Baja California. The NAT has four floors of exhibitions, a 3D theater, and San Diego’s only Foucault pendulum. Hidden Gems: Get to know The Nat's sparkly side with more than 100 of the best, brightest, and most spectacular selections from our gems and mineral collection. These hidden gems will be on every floor of the Museum. 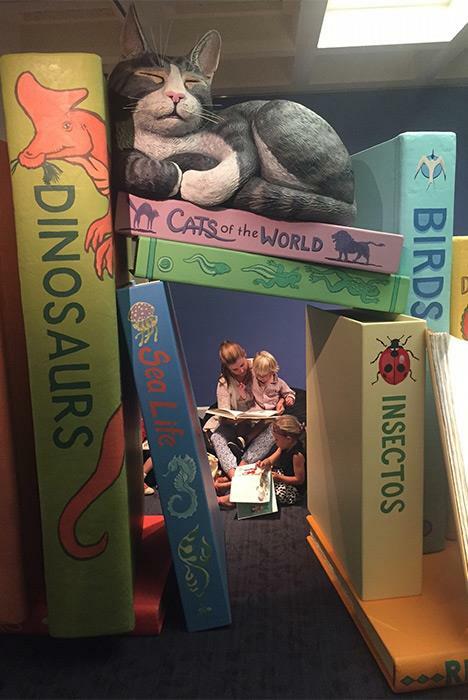 The Backyard is an exhibition that allows children 5 and under to explore the natural world through play. Unshelved: Cool Stuff from Storage gives visitors a rare “backstage” glimpse of the museum’s storage areas. The Cerutti Mastodon Discovery showcases fossils of a mastodon discovered in San Diego that yielded the earliest evidence of human activity in the Americas. Extraordinary Ideas from Ordinary People: A History of Citizen Science explores the past, present, and future of citizen science through rare books, art, photographs, and historical documents. Discover the rich biodiversity of the region by taking a journey through the various habitats that exist in the region in Coast to Cactus in Southern California. From dinosaurs to mastodons, dig into the rich fossil history of the region in Fossil Mysteries. 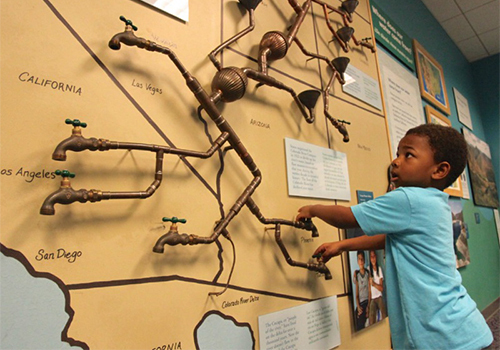 Examine the infrastructure of the regional water system in Water: A California Story. 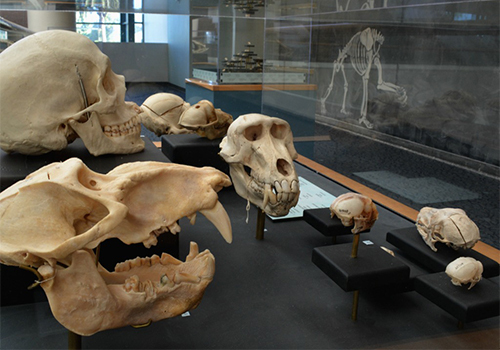 Skulls features nearly 200 of the weirdest, wildest, and most fascinating skulls from The Nat’s vast research collections. Giant-screen theater: Sit back in our stadium-style, giant-screen theater, featuring daily showings of our flagship film Ocean Oasis and a rotating calendar of thrilling 3D films. You can park in the Inspiration Point parking lot (on the east side of Park Blvd., between Presidents Way and the Balboa Park Activity Center) for easy access to the heart of Balboa Park via the free tram. There are also numerous smaller lots throughout the Park, including the lot next to the Museum's east side, the south Carousel Lot on Village Place and Park Blvd. and the north Carousel Lot. Valet parking is offered in front of the House of Hospitality (and The Prado restaurant) in the Plaza de Panama. There is no valet parking on Mondays. The north fig tree entrance to the Museum is accessible. There are six accessible parking spaces in the Natural History Museum parking lot which is located on the east side of the Museum at Village Place and Park Boulevard (to your left off Village Place). There are also four accessible parking spaces in the South Carousel parking lot adjacent to the museum parking lot. The handicap access ramps are located at the northwest corner and the southwest corners of the Museum. Wheelchairs are available for free. Check for availability and request a wheelchair at the Visitor Services Desk at either entrance. The wheelchair is available for use while at the Museum. 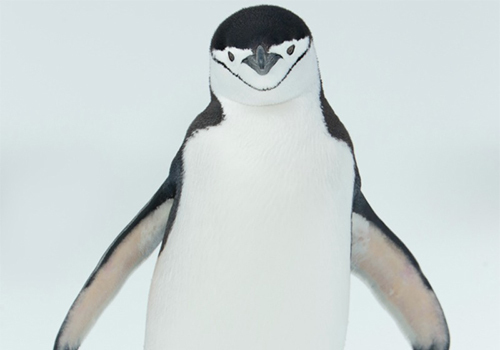 Do you allow pets inside the museum? No, only service dogs and their handlers are allowed. Service dogs must be on a non-retractable physical leash that is less than six feet in length. Each visitor may only have one service dog. Does the museum offer assistive listening devices? Yes, you can request the infrared listening device headsets at the north entrance Visitor Services Desk. The Assistive Listening System is available for lectures and films in the Charmaine and Maurice Kaplan Theater. Is there any place to buy food? Located in the Atrium, the Dino Café serves an assortment of coffees, teas, panini wraps, salads, and snacks. Yes, you can bring a stroller. Note: Strollers are not allowed inside the Museum on a Resident Free Day. Park strollers in the designated area outside the north entrance near the Moreton Bay Fig tree. Does the general admission ticket include the Giant Screen Theater? Yes, films in the giant-screen theater are included with paid admission. Wifarer at theNAT is a new mobile app that helps you find your way around the Museum with maps and navigation. It is an exclusive, in-Museum experience that helps you find what you need and offers access to videos and stories* that bring the Museum to life. 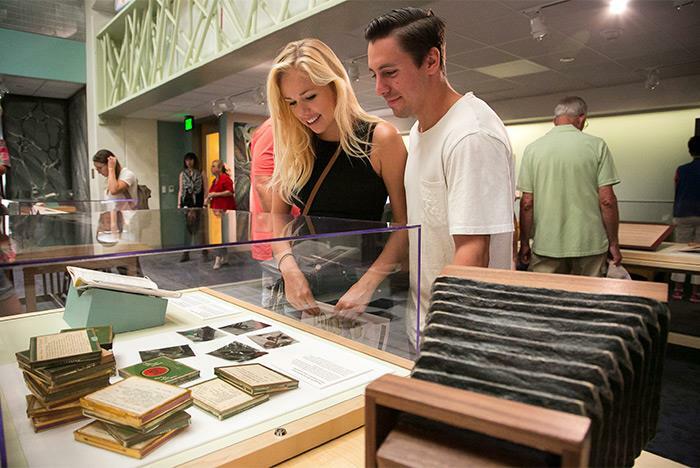 Wifarer at theNAT provides a whole new way to explore the Museum.